ISO Approved Supplier & Exporter of Seamless & Welded Stainless Steel 316Ti Pipes & Tubes. Stainless Steel ASME SA312 TP 316Ti Pipes, TP 316Ti SS ERW Pipes, 316Ti Stainless Steel EFW Tubing Stock Holder, Largest Inventory of Stainless Steel TP 316Ti Seamless Pipes, Stainless Steel 316Ti Tube, DIN 1.4571 Tube, UNS S31635 Pipe, DIN 1.4571 Pipe , TP 316Ti Stainless Steel Pipes, ASTM A269 Seamless and Welded Austenitic Stainless Steel 316Ti Tubing Dealer. Piyush Steel is a well-known distributor and stockiest of Stainless Steel TP 316Ti Pipes, which is essentially a standard carbon 316 type with titanium stabilisation and is similar in principle to the titanium stabilisation of the 304 type to produce 321. Grade 316Ti Tubes is a titanium-stabilized version of Type 316 molybdenum-bearing austenitic stainless steel. Austenitic stainless steel Grade 316Ti Pipes is referred to as the stabilized grade of the 316 types, and also one of the two 316 stainless steels that is recommended for higher temperature situations. TP 316Ti Stainless Steel Tubing has better corrosion resistance at higher temperatures than 316 stainless. Stainless Steel UNS S31635 Pipes and Tubes can improve the aqueous corrosion resistance of welds made in higher carbon grades. 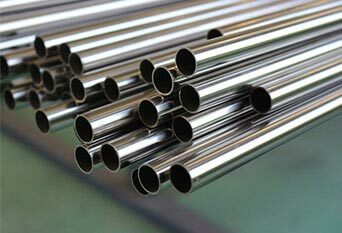 Stainless Steel Din 1.4571 Pipes and Tubes are more resistant to general corrosion and pitting/crevice corrosion than the conventional chromium-nickel austenitic stainless steels such as 304. 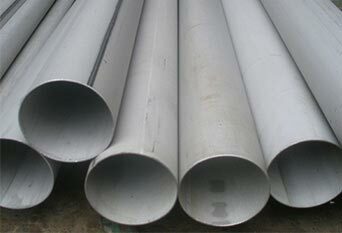 Buy 316Ti Stainless Steel Pipes at reasonable cost from us. ASTM A312 SS TP 316Ti Pipes, SS Werkstoff nr. 1.4571 Welded Pipes, ASTM A358 TP 316Ti EFW Pipes, SS UNS S31635 Pipes, SUS 316Ti Tube, UNS S31635 Tube, DIN 1.4571 Tube, Inox 316Ti Tube, SUS 316Ti Pipe, Inox 316Ti Pipe, DIN 1.4571 Pipe, TP316Ti Stainless Steel Seamless Pipe Dealer, ASTM A249 TP 316Ti Welded Tubes, ASTM A213 Stainless Steel TP316Ti Seamless Tubing, SS 316Ti Tubing Manufacturer in India. Stainless Steel 316Ti Welded Pipes, Stainless Steel 316Ti Pipe, Stainless Steel 316Ti Seamless Pipes, SS 316Ti Pipe, SS 316Ti Seamless Tubing, Inox 316Ti Pipe, SUS 316Ti Tube, UNS S31635 Tube, DIN 1.4571 Tube, Inox 316Ti Tube, 316Ti Stainless Steel Pipe, Stainless Steel 316Ti Tubing, Seamless Austenitic Stainless TP 316Ti Tubes, 316Ti SS Tube Supplier in Mumbai, India. Properties are similar to those of type 316 except that AISI 316Ti Pipes due to its Titanium addition can be used at elevated sensitisation temperatures. Alloy 316Ti Tubes also offer higher creep, stress-rupture and tensile strength at elevated temperature. This grade contains a small amount — typically only 0.5 percent — of titanium. While it still possesses many of the characteristics of other 316 grades, the addition of titanium allows SUS 316Ti Tubes to be protected from precipitation at elevated temperatures, even with prolonged exposure. For high temperature service (above 1000 Degree F), there is no advantage in using Alloy 316Ti Pipes compared to 316H. There may be a few situations where equipment can see both elevated temperature service and occasional aqueous corrosion issues where a stabilized grade is warranted. SS 316Ti Tubes is often used in Pulp and Paper Equipment, Heat exchangers, Propeller shafts, Fittings, Dyeing Equipment, Exterior Architectural components in Marine Coastal Areas. 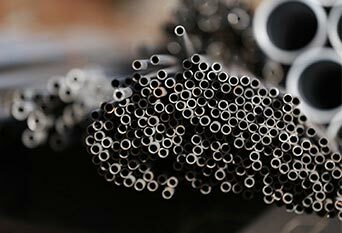 Type 316Ti Pipes is also used in Chemical processing, Springs, Fasteners, Thread inserts, and Wire mesh. 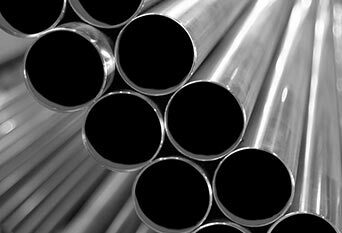 We Supply SS 316Ti Pipes & Tubes of various origin’s and companies like Nippon Steel & Sumitomo Metal, Sandvik, Sanyo Special Steel, Kobe Steel, Schoeller Bleckmann, Salzgitter Mannesmann Stainless Tubes, Tubacex etc. stainless steel 316ti tube manufacturers in mumbai, india, 10mm stainless steel 316ti tube, 40mm stainless steel 316ti tube, stainless steel 316ti coil tube, ss 316ti pipe weight chart, marine stainless steel 316ti tubing suppliers in mumbai, india, 316ti stainless steel tubing price in mumbai, india, a312 TP 316ti precision stainless steel tubing suppliers, prime quality tp316ti stainless steel seamless pipes, 316ti stainless steel pipe specifications, jindal ss 316ti pipes price list, tp316ti seamless stainless steel pipes, 316ti stainless steel pipe weight per foot, a312 tp316ti stainless pipe, a312 tp316ti seamless pipes, a312 tp316ti welded stainless steel, seamless pipe astm a312 tp316ti, stainless steel 316ti pipe price, 4 inch 316ti stainless steel pipe price, 316ti stainless steel pipe price list, large diameter steel pipe manufacturers in india, ss 316ti seamless pipe sizes, ss 316ti pipe schedule chart, austenitic TP316ti seamless pipes for high pressure, schedule 40 stainless steel 316ti pipe, polished stainless 316ti tubing, stainless steel 316ti schedule 40 pipe, 316ti stainless steel tubing sizes, 316ti stainless steel tubing suppliers, stainless steel 316ti pressure pipe, stainless steel tp 316ti sanitary tubing, schedule 10 stainless steel 316ti pipe, 316ti stainless coil tubing, tp316ti seamless pipe manufacturer, stainless steel 316ti mechanical tubing, erw stainless steel 316ti pipe, astm a213 tp316ti price in india.